Residents of Boulder, CO and surrounding areas can rely on the five star carpet cleaning services of Colorado Carpet Masters. 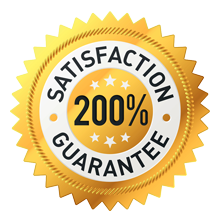 We offer the absolute best carpet cleaning with a 200% satisfaction guarantee! No one cleans or guarantees their cleanings like we do. If you aren’t happy, we’ll clean it again. If you still aren’t happy, we’ll refund your money and pay for another carpet cleaning service to come and clean your carpets. That’s a pretty bold policy! We are confident of our carpet cleaning services because we have perfected the science. 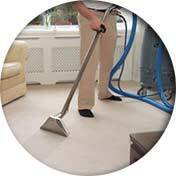 We use a Power Wand, which is the most advanced carpet cleaning system providing maximum agitation, heat, cleaning solution and time. Our process takes longer because we do it thoroughly and correctly. All of that time results in a carpet cleaning that is 190 times more thorough than a regular truck mounted machine! All of our technicians are IICRC certified, meaning they are proficient in the education and application of carpet materials and cleaning applications. Colorado Carpet Masters specializes in pet stain removal, carpet repair and carpet stretching. Our experience and excellent customer satisfaction sets us apart from everyone else in the industry. If you want the best, don’t let anyone else touch your carpets! Rating: 4.8 out of 5 -13 user reviews. Satisfaction Guaranteed: Simply put, if a client is not satisfied after their initial cleaning, we will come back and repeat the cleaning. If the client still isn’t happy, we’ll refund their money AND pay for another carpet cleaning company to come out and clean the carpets. When we say your satisfaction matters, we mean it! Choose CCM to for carpet cleaning because we have the best reputation for carpet cleaning in Boulder, and our clients can confirm it. Colorado Carpet Masters trains their technicians in a variety of cleaning / water restoration methods and techniques. We are certified by the IICRC in Water Restoration Techniques. This means we are able to safely remove the water and sewage from an emergency situation, and know whether to clean, repair or remove the damaged areas. In an emergency water situation, every minute counts– and we understand that urgency. We have a technician on call 24-7 for situations as such. We can advise on the situation and get started immediately. 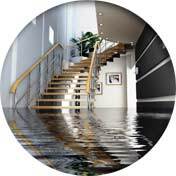 We also offer discounts for those without insurance that covers water damage. 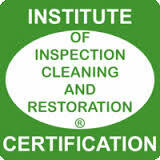 CCM is also certified with IICRC in upholstery cleaning! We offer the best upholstery cleaning because our team has the most experience with it. They start by testing the fibers to determine the best plan of action. Not every cleaning solution works for every material! By just guessing, it is easy to ruin a family heirloom. We know what works and how to approach any type of furniture. Save money–don’t replace it, just clean it! Lastly, Colorado Carpet Masters offers state of the art tile and grout cleaning. When it starts to get a little dingy, it can be disappointing and difficult to keep up. We have the secrets, and we’ll let you in on them! We have a technique that applies hot water AS it vacuums, leaving no dirty water around to stain the grout. This results in a bright white grout that looks like new again. Boulder is located at the base of the Colorado Rocky Mountain foothills. It is a popular city for college students and families alike, and is loaded with outdoor activities. Residents and visitors enjoy hiking, rock climbing, and fishing in the beautiful outdoors of Boulder. There are acres of conservatories, open land and nature preserves. Many might describe it as a quirky city with lively culture, but in recent years it has slowly morphed into a slightly more sophisticated area. 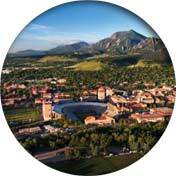 The University of Colorado is partly responsible for the diverse residents. Besides the obvious jaw dropping scenery, Boulder is consistently ranked in the top cities for best quality of life, health, education and art. The Flatiron Rock Formations can be found here, where the Great Plains and the Rocky Mountains collide. These slabs of sedimentary stone are a well recognized symbol in the city of Boulder, and many local companies feature them in their logo. In any given season, Boulder can be relied upon to host a fun and unique event— from the Polar Bear Plunge to the Naked Pumpkin Run. For shoppers, adventurers, people watchers and nature connoisseurs, Boulder has a little something for everyone. We are proud to offer the best carpet cleaning services in Boulder, CO. Call us NOW! (303) 459-2482!